Annie Montgomery is a California based artist, jewelry designer, and astrologer. Annie graduated from American Jewelers Institute in Portland OR. Her line of silver jewelry is cast from real findings in nature and is inspired by the spirit world. 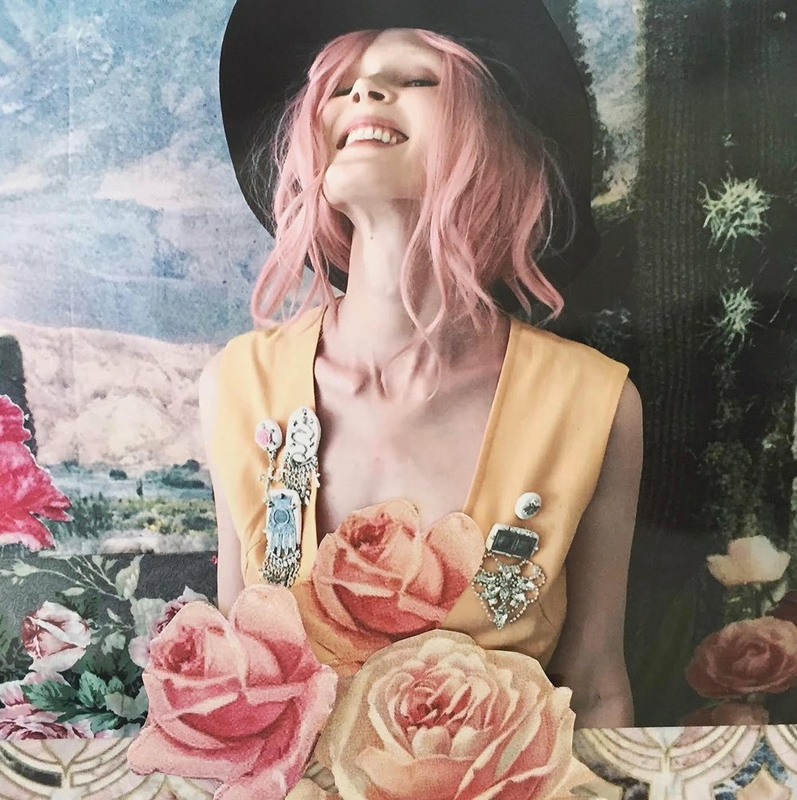 Her pins are all handmade and one of a kind, while her ethereal collage work explores themes relating to mysticism. Annie completed her astrologers' certification course from Los Angeles Astrology school and offers in depth Natal Chart readings as a way to deliver guidance. Annie passionately commits herself to her creativity and self growth and has the intention to help others do the same. Annie also has a background in modeling and has worked for fashion houses including Alexander Wang & Balenciaga in New York, Milan, and Paris.